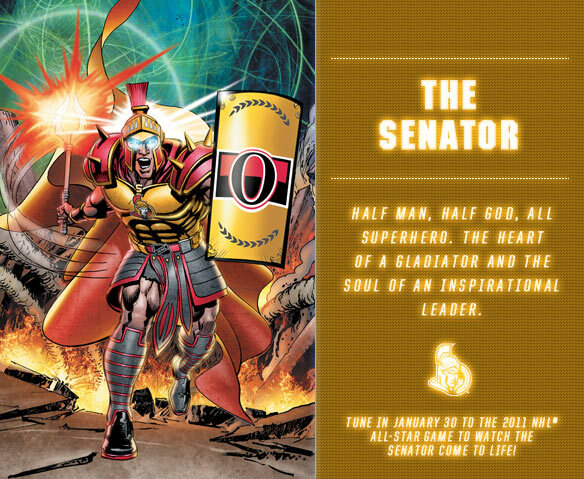 So The Senator is a Senator, but only insofar as anything relating to the Ottawa Senators are Senators (because they are, in fact, either gladiators or imperial troops. The senators were the ones in the togas debating taxation). Probably would have been cooler to rename the franchise the Ottawa Legion or Cavalry or the Palaiologan Byzantine army, named after the dynasty of the Palaiologi (1259–1453), which ruled Byzantium between the recovery of Constantinople from the Crusaders and its fall to the Turks in 1453. During this final phase, Byzantium was little more than a city-state that hired foreign mercenary bands for its defence. Thus the Byzantine army finally lost any meaningful connection with the standing imperial Roman army – hence the connection to this Senators team and that which once contended in the playoffs. Anyhoo, the Sens are terrible, so here’s a question for you: in the 2011 draft, given the choice between a Matt Duchene style forward and a bluechip defenceman, which would you take? Sens are back in “action” tonight after a heartbreaking loss in which they showed some goddamned pride for a change. Spezza and his what-must-now-be-mechanical-shoulder are back, and he gets a biscuit of a game against one of the few teams worse than the Sens to test out his giveaway reflex, which Kovalev and Kuba have been keeping warm for him in his absence. Nice to see those two step up and make sure giveaways keep happening while Spezz recovers. Sens have a real chance to end their losing streak, which is now at 6,589. In tanking news, they are two points up on NJ for third last overall, three on the Islanders for second last, and four from the first overall pick. Just for the record, according to The Senator’s backstory, he actually did become a Senator, while also leading slave rebellions and stuff like that. So basically he’s Maximus Decimus Meridius from Gladiator, with a bit of Spartacus mixed in there for good measure.